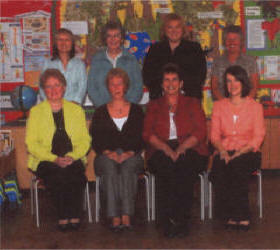 Hillhall Primary School will, as long as I live, occupy a very prominent place in my memories. 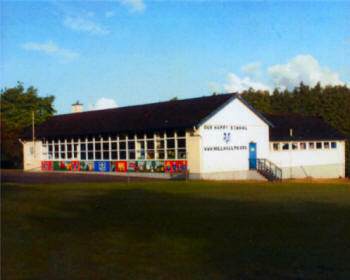 Its well-chosen caption � `Our Happy School' � is so apt for, as I am quite confident, there has been no happier Primary School in the length and breadth of our land than Hillhall. High academic standards have been achieved and sound principles for life taught to generations of pupils, who have benefited from being part of an environment that has enabled them to grow strong and confident. What a sound foundation on which to build their subsequent educations, careers and indeed lives!! How sad it is for all of us who have witnessed its work and worth within the lives of our own children and indeed the wider community, to see this all come to an end. Surely the closure of our school will inevitably be to the detriment of our whole community. I pay tribute to all those parents, teachers, governors and politicians who worked so hard to convince the South Eastern Education and Library Board and the Department of Education of its viability and worth. Alas, our most stringent efforts have been in vain and the doors of our school will now close to surely the most beautiful sound of creation � the sound and clatter of happy, confident children. It would be unbecoming of me not to take this opportunity to underline the debt of gratitude we owe to a succession of principals, teachers and ancillary staff who have consistently gone beyond the bounds of duty to keep Hillhall Primary School what it has always been � `Our Happy School'. Only eternity will reveal the blessing it has brought to so many, whose privilege it has been to have passed through its doors and benefited from the excellent education they received within its walls. dance recitals; of sports days and outings and residential trips; of examination worries and butterfly hatchings. Hillhall is all of these and much, much more. Your children past and present have been fortunate to have had such a school and these memories will be with them, as they will be with me � always. This has been a long and troubled year for everyone involved with our school. It has been the strength of our team, our happy focused children, the support of our governors, our parents, our colleagues, our friends and our families that has made the year more bearable. It has been the Hillhall community spirit that has pulled us through. And so I stand before you this evening with a heavy and saddened heart in the knowledge that Hillhall Primary School which has served this community faithfully is about to close its doors for the very last time. As I look around me, I feel an overwhelming sense of pride seeing the boys and girls, young men and women, older men and women that Hillhall has produced. As a community, and in partnership, we have reared our children to become responsible citizens, not an easy task in the world today. Pride is a sin - but those of you fortunate enough to be part of Hillhall Primary have every right to be proud of your school and your memories of it. For we know that our school has ended. and the darkness of night has descended. the tears that our hearts are crying. and without pretence and pride. and viewed what we think is the end. He tells us - this is only a bend. and the change at this time is a rest.